The MSc in Evidence-Based Health Care will position students to integrate the best available research evidence with their clinical expertise and patient values to make better informed decisions in their field of health care. "It was really important to me to find a course which was flexible. I can take a week off from my clinical work, come to Oxford and spend the week studying, and the rest of the course is online. I feel very supported by the forums and I can stay in touch with my colleagues but at the same time I haven’t had to put my clinical career or the rest of my life on hold to be able to do a Master’s"
The MSc in Evidence-Based Health Care is a part-time course. There are two compulsory modules, four option modules and a dissertation. The aim of the MSc programme is to help health professionals base their clinical and health management decisions on valid, reliable and relevant evidence, determined by sound scientific research and evaluation. Find and appraise quantitative and qualitative research evidence critically and efficiently and understand what the results mean in different contexts and for different healthcare decisions. Integrate and synthesise different sorts of information, from diverse sources, when making both individual patient and health policy decisions in a wide range of situations. Be familiar with key issues for evidence-based practice in their own professional area or specialty. Work comfortably in situations of uncertainty and make sound judgements in the absence of definitive evidence. Work comfortably in unpredictable situations and deal with complex issues systematically and creatively. Have an understanding of ethical frameworks in health care and be able to apply ethical principles to practical issues. Be pro-active in recognising the need for change and have the ability to manage change. Understand how to work with colleagues to make informed decisions based on evidence and operate effectively in a variety of team roles. Provide leadership for evidence-based practice and research. Manage projects, people, time and change effectively and efficiently. Present and communicate information about research evidence and evidence-based practice clearly in written, electronic and oral forms to a range of audiences. Be able to produce a robust research protocol, for a variety of different types of research question, in a format that can be submitted as an application for research funding. Be able to play a lead role in the conduct and presentation of research. Have an understanding of the ethical issues in health research and research governance. Routinely use the principles of reflective practice. Assessment for each module will be based on a written assignment, which shall not be of more than 4,000 words. Students for the MSc will also be required to complete a dissertation on a topic chosen in consultation with a supervisor and the Course Director. The dissertation should not normally exceed 15,000 words. Complete a dissertation on a topic chosen in consultation with a supervisor and the Course Director. The dissertation should normally not exceed 15,000 words. MSc students are matriculated and are full members of the Collegiate University; college fees are included within the MSc programme fees and are paid to the colleges on a student’s behalf. Funding: Students applying for the MSc in Evidence-Based Health Care are eligible for a Clarendon Fund Scholarship. 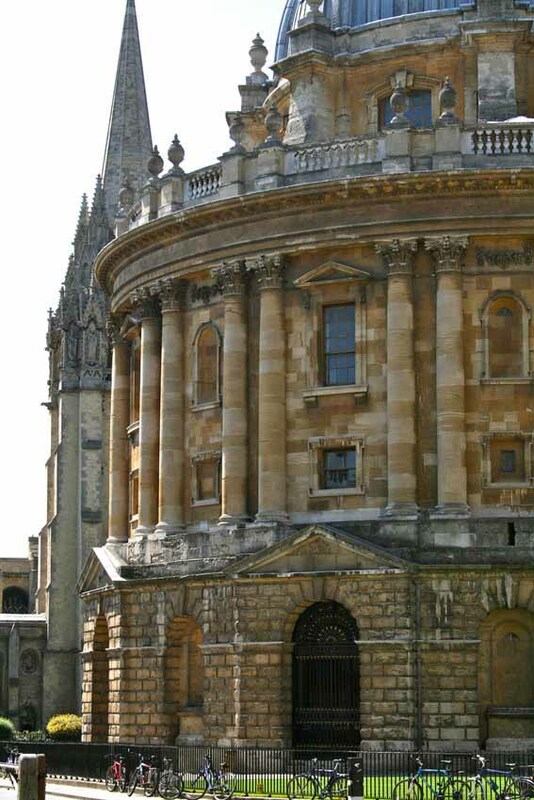 The Oxford-McCall MacBain Graduate Scholarship is open to any student applying to either of the Evidence-Based Health Care courses (MSc or DPhil); eligible candidates will be automatically considered as part of their application.